Most people know solar panels are good for the environment, but don’t know exactly what benefits they bring. The truth is there are many advantages and disadvantages of solar energy. In this article we’ll cover these pros and cons to help you gain a better perspective on solar energy and the potential it has to change the world. Solar energy is a renewable resource that is derived from sunlight. The most common avenue of solar power utilizes photovoltaic cells to convert sunlight into usable electricity. This process uses a semi-conductor to absorb the suns radiation. This conductor then emits electrons which are then used as electricity. The electricity generated by these panels is then sent to your house where it is used for your appliances, lights, and outlets. Most households that use solar panels are still connected to the grid. This allows the extra energy that your house doesn’t use go back onto the grid. Electricity companies then pay you for the excess energy that your solar system produces. Solar has become one of the most effective avenues of creating renewable energy. Reason for is because the sun sends large amounts of energy to the Earth everyday. This energy can then be easily converted into usable electricity for people like you and I. One great thing about solar is that it’s essentially going to be around forever. It’s estimated that the sun will continue its life cycle for at least another 5 billion years. Meaning we will never run out of this resource. Since solar is renewable it is also good for the environment. Solar energy doesn’t produce any wastes like burning coal or petroleum. This means it doesn’t help contribute global warming and actually has reverse effects on it over a long period of time. 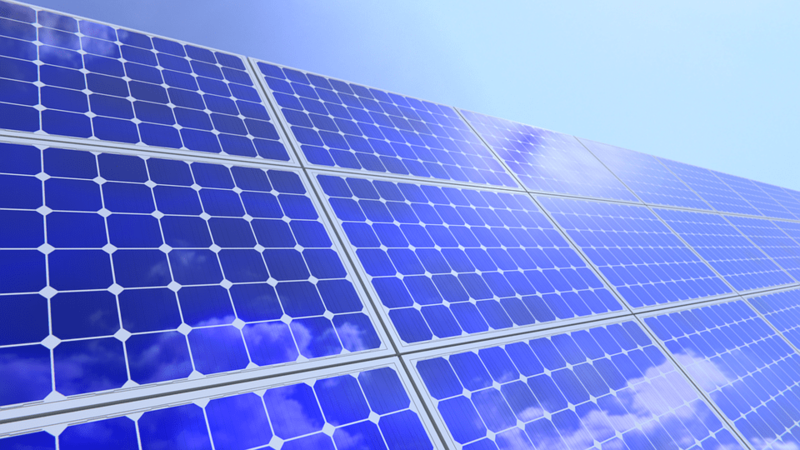 Solar panels are one of the most passive avenues for creating energy. You simply set them up and they are good to run for decades with little issues. What makes them even better is that they require very minimal maintenance. Since solar panels don’t have any moving parts they usually never fail. The biggest maintenance they require is regular cleanings. It is recommended that you wash your solar panels every 6 months for the best efficiency possible. While the initial cost of solar can be very expensive, over the long haul they save you money. It’s estimated that within 10-20 years the panels will pay for themselves. This is mainly due to the money that you save every month on your electricity bill. To add-on to this some states allow you to get paid for the energy that your solar system feeds back into the grid. This is known as the “Feed-In” Tariff. The money-saving doesn’t end there. Many states have incentives for purchasing solar systems. Sometimes these incentives are so great that they can even pay for half of the system itself. In addition you don’t have to worry about tons of maintenance costs as solar panels are very passive and don’t break often. Top solar companies also give 20-15 year warranties to save you even more money. One of the best advantages about solar is that it can be used almost anywhere in the world. Most places around the word have sunlight. Since this is so you can have energy almost anywhere you want. For this reason solar panels have become very popular in the off-the-grid community. Solar kits allow people to live in the middle of no where while having access to energy. This freedom also comes in handy in situations like backpacking or camping. Solar chargers are a smaller and portable version of a home solar panels. These solar chargers allow you to charge your small devices while on the go. One great thing about solar is that it can be used for many different purposes. Since solar can generate energy it is now being used on common mobile devices. There are cool gadgets that use built-in solar panels to power their batteries. Items such as solar speakers, solar generators, solar lights, solar chargers have thus been created. Solar can also be used to generate heat. There are many different solar water heaters available. They are commonly used for heating your pool without costing an arm and a leg. Solar technology and solar systems are constantly evolving. Each year solar panels become more efficient, components become better, and batteries store more energy. This evolution is only going to continue and is going to compound over the next few decades. Solar energy is one of the best avenues for creating jobs. Money invested in solar power created 2-3 times more jobs than money invested in coal or natural gas. The solar industry is also in its infancy so more jobs will inevitably open up as times goes by. One of the biggest disadvantages of solar energy is its high initial costs. Complete home solar systems can cost anywhere from 10-30 thousand dollars. This high initial cost it what deters most potential solar buyers from purchasing a solar system. Fortunately these costs will go down over time as the technology advances and more incentives are put in place. Another disadvantage of solar energy is that it’s limited to the climate. Some areas don’t have sunlight very often. This of course creates a problem as daylight is needed to create energy. This also proposes an issue at night when there is no sun shining. Most homes are still connected to the grid so this isn’t an issue for them. Others who aren’t connected either have to purchase large batteries or simply don’t have any energy during the night. As we mentioned above large solar batteries are needed when not connected to the grid. These batteries allow you to store energy during the day so that you have electricity at night when there is no sun shining. The only problem with this is that these solar batteries tend to be very expensive, bulky, and cumbersome. With that being said Tesla has recently revealed it’s Powerwall. This Powerwall runs for around $3,500 and can be used to store energy from your solar panels. This pack is relatively small and should contain all the technology you need to have a successful solar system. The main positive to this technology is that it houses a large battery in a cosmetically good looking exterior shell. The Powerwall can easily be installed on a wall and doesn’t take too much space like other solar batteries.